I’ve had a really lovely day today – it being my day off! Instead of doing really boring things – well actually I did these first – for example waiting for Sainsbury’s to deliver the shopping and buying more food for my chickens – I then spent the rest of the day with my mum and we went to the beautiful Blicking Hall, just up the road from us in Aylsham, Norfolk. 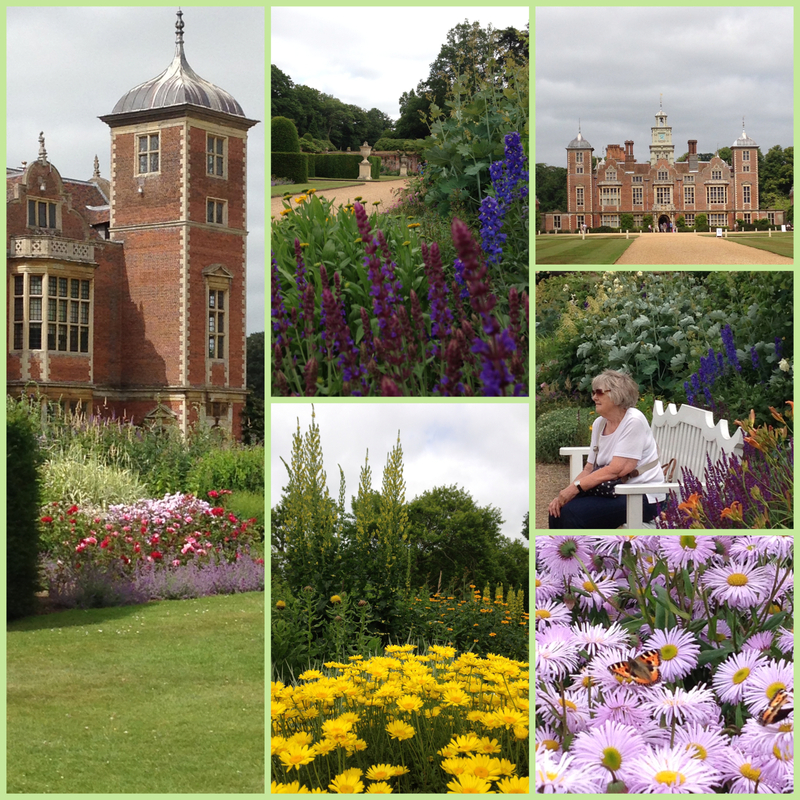 As you can see, the architecture is absolutely stunning and the gardens were in full bloom, full of herbaceous borders, beautiful daisies, roses, phlox, lavender and lupins. We had a good walk round – even though mum needed a sit down half way – and then we went into the tea shop for a slice of date cake and a lovely cuppa! I’ve decided that days like this need to be cherished and I loved every minute. We’ve made plans for next week already! Watch this space. I hope you are all enjoying the sunshine. Eeek – Baby imminent and I’ve not finished it!